Have you decided to put your home on the market this winter season? The freezing temperatures and blowing snow may not be ideal for home shopping, but thankfully many homebuyers are willing to brave the elements. With just a few effective staging techniques, you can create warm, attractive atmospheres in each room and draw the prospects your way. Holiday decorations are some of the touches that make a house a home--but keep in mind that your home is now being marketed to other families. Neutralize the area by keeping décor to a minimum. This effort will help keep the prospective buyer's attention on the house itself. While natural lighting in a home is a great asset, the early setting of the sun in the winter months poses a challenge. Ward off the darkness by keeping interior and exterior lights on timers. That way, you can confidently trust that prospective buyers will be greeted with a bright environment in spite of the 5 P.M. sunsets. 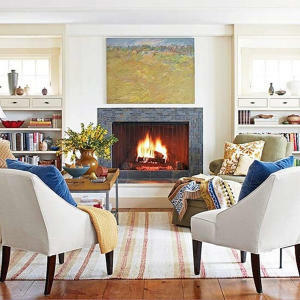 Last but certainly not least, you'll want your home to be a refuge for both the homebuyers and the accompanying agents. This means keeping the heat at a comfortable temperature even if you're no longer living in the home. These adjustments are small costs when compared to the results you'll see!